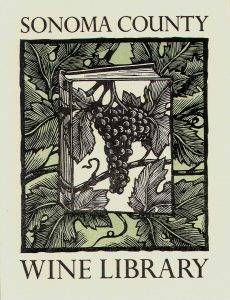 The Sonoma County Wine LIbrary houses more than 5,000 books, plus memorabilia, videos, oral histories, and vintage winery artifacts. A quiet hideaway within the Healdsburg Regional Library, the Sonoma County Wine Library is filled with natural light, comfortable seating, and a vast archive of treasures sure to delight even the most jaded oenophile. Library Curator, Megan Jones, welcomes wine industry researchers; students from the Santa Rosa Junior College and Sonoma State University wine studies programs; and food and wine journalists and authors, along with passionate wine lovers seeking to expand their knowledge of the grape. This story is a version of an article published in the Santa Rosa Press Democrat. Locals planning their vacations come in for guidebooks to wine regions in the U.S. and around the world, and to browse the latest food-and-wine news in four dozen or so current periodicals, ranging from journals of enology and viticulture, to Sonoma-Marin Farm News and Wine Spectator. Tasting room hosts come here to bone up on the history of their wineries and to learn more about the wines they pour and sell. 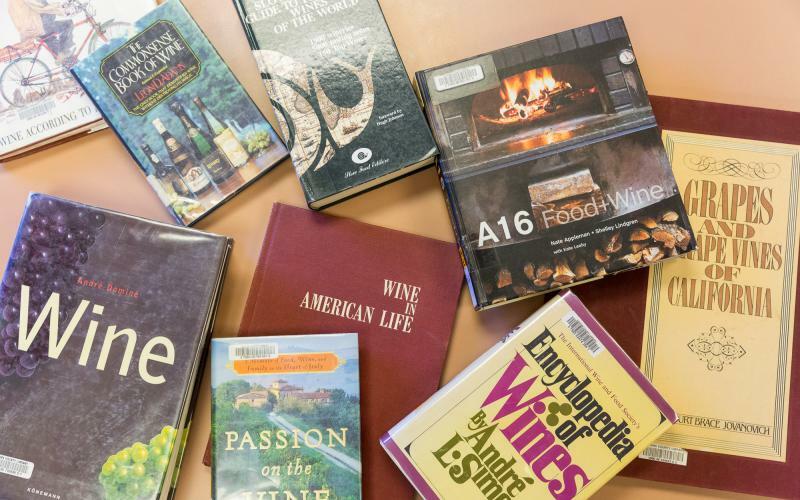 Would-be sommeliers study for their professional wine certification testing (WSET), and log into the International Wine Research Database on the library website. The Sommelier’s Atlas of Taste, What Makes a Wine Worth Drinking, and Flawless: Understanding Faults in Wine are popular new books, and the movie, “Sideways,” is a favorite among the DVDs. 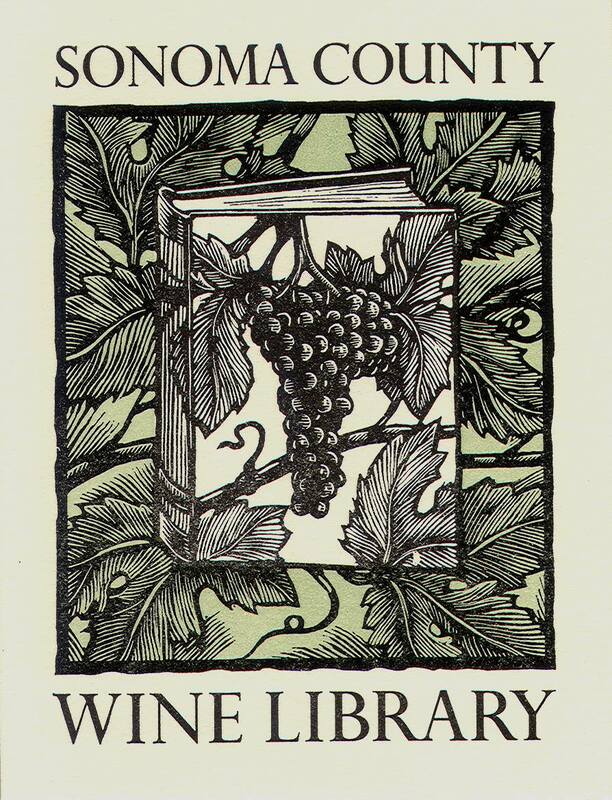 A hidden gem in Healdsburg, the Sonoma County Wine Library is a treasure chest of historic documents and memorabilia; rare books, wine labels, videos/movies, and thousands of books. 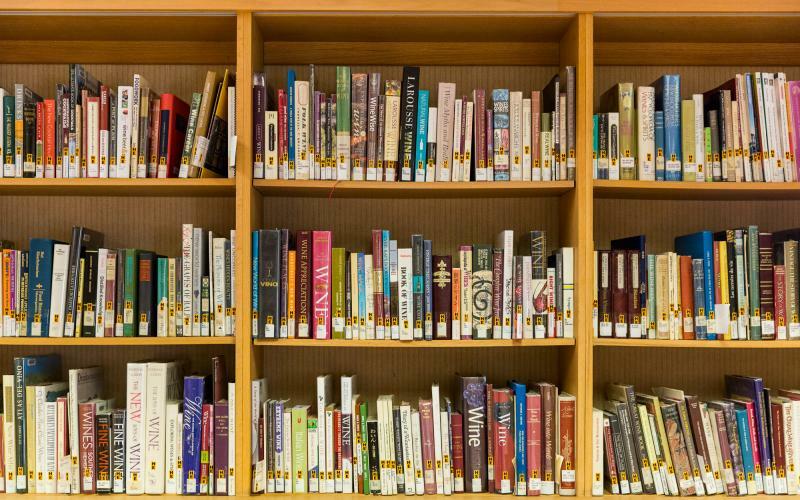 Since the library was dedicated in dedicated in 1989, more than 5,000 books have been acquired, along with a fast-growing collection of audio and video histories of Sonoma, Lake and Mendocino County winery owners and winemakers. Among the irreplaceable books are nearly a thousand rare volumes dating, primarily, from 1850 to 1950. The oldest, Libri de re Rustica, a detailed description of agricultural practices, was printed in Spanish, by hand, in 1514 (the most valuable and fragile tomes have been digitized). Located in the Healdsburg Public Library, open daily except Sunday. The brainchild of Millie Howie, a renowned columnist, wine industry publicist and all-around industry guru who passed away in 2011, an association of supporters is now the Friends of the Sonoma County Wine Library. The organization funds myriad library projects, such as oral histories, and digitization of historical documents, and puts on various special events throughout the year, from wine tastings to talks by winery luminaries. This spring, the Friends organization will lead a walking tour of the historic Oliver Ranch, a 100-acre, Sonoma County estate whose proprietors have commissioned a dramatic outdoor exhibition of artworks. The 2.5-hour “Tour of the World” guided tour will include transport to and from Francis Ford Coppola Winery in Geyserville, with wine tasting to follow. (707) 799-2724.